That’s what Wally Pfister, the cinematographer and frequent Christopher Nolan-collaborator, wants you to believe in his directorial debut, Transcendence. The death-by-sentient-computers tale is familiar ground, and it’s covered in much better fashion elsewhere. If you’re in the mood for a good tech scare, skip this film and re-watch Terminator. That film is certainly more fun. Pfister’s debut tramples gracelessly over a well-trodden path, and leaves much to be desired. The film opens in an overgrown garden, one focused fragment of Berkeley, Calif., sans electricity. Some blatant expository voiceover work, courtesy of Paul Bettany, sets a bittersweet stage before the film sends us five years into the past. This framing device proves utterly inessential by the film’s end, since the how-we-got-here narrative loop accomplishes nothing more than a simple linear narrative would have. Pfister is preparing the viewer to witness tragedy, but the way he gets there is not nearly as compelling as it could have been. Transcendence further exhibits Pfister’s talent for showing a story, but the content of that story is dry and contrived. 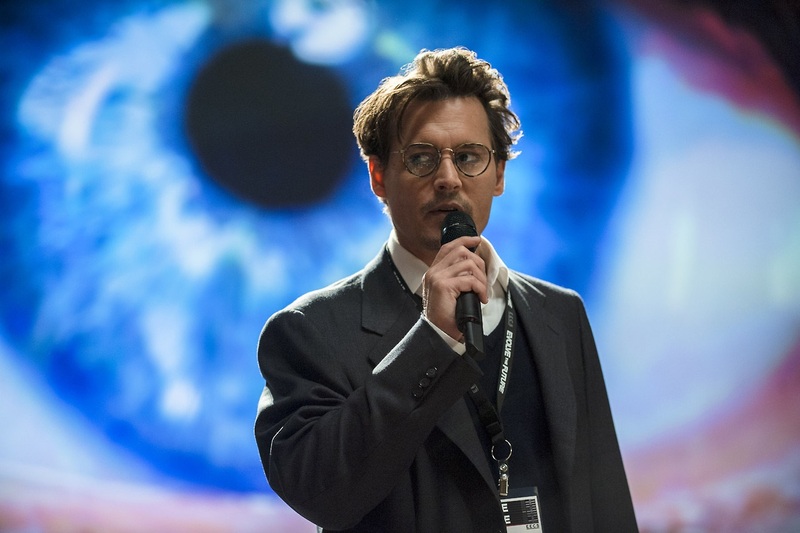 Johnny Depp plays Dr. Will Caster, a brilliant researcher in the field of A.I. 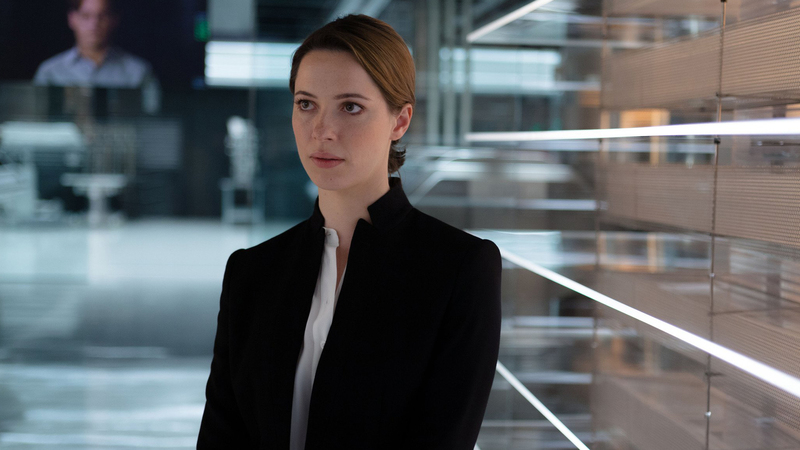 who is “content with simply understanding the world.” His wife, Evelyn (Rebecca Hall), is the ambitious one. Her devotion to their work becomes a major problem fairly quickly, and sends the film careening freely along its speculative path. The two scientists have developed an advanced computer called P.I.N.N. (don’t ask, it doesn’t matter) that speaks with the voice of V.I.K.I. from I, Robot. If you’ve seen that film, or have even the slightest sense for stories about computer experiments gone awry, you can guess how Transcendence ends. And you’re right. Jack Paglen’s screenplay apparently spent some time on Hollywood’s “Black List,” a depository of sorts for well-liked but not-yet-produced scripts. It should have stayed there. Will is on the cusp of something truly extraordinary in artificial intelligence, and some anti-tech terrorists known collectively as R.I.F.T. (“Revolutionary Independence From Technology,” come on) stage an assault to halt his progress. Wounded with a polonium-laced bullet, Will is on a quickly ticking clock. What to do? The solution, as Evelyn devotedly proposes, is to upload his consciousness into the supercomputer. This portion of the film is perhaps the most bearable of the two-hour runtime (and that’s saying quite a lot) because of Hall’s committed performance. You’ll believe not only her devotion to science, but also her honest love for her husband. It’s a fleeting moment of something real in an otherwise static, cold-circuit film. So they shave Will’s head, sample his voice with an Oxford English Dictionary reading and hook up him up to the machine. Evelyn apparently succeeds, and her husband’s consciousness scatters graphical gibberish across five computer monitors. You have to hand it to Pfister for hitting all the deplorable tropes of computer usage in science fiction films. At one point, Evelyn uses three keystrokes to bring up a dialog box on P.I.N.N. that literally reads “System Shutdown: YES or NO?” Call me a computer science and English double major, but this film is fraught with foolery. All hell predictably breaks loose, but it privileges the merits of the writing too much to call that a spoiler. The story is spelled out very clearly from the get-go, and Pfister instead leaves himself the path toward doom to attempt a compelling plot. It’s a shame he fails to craft one. As extreme as the film pushes, it never once seems truly dangerous. Returning to the aforementioned framing device to offer one final twist registers less as a foreboding final note and more of a strained effort to create something satisfying. Transcendence is Frankenstein in the social media age, but this cautionary tale flounders in its attempt to be profound. This article was published in its original form in The Massachusetts Daily Collegian on April 23, 2014.